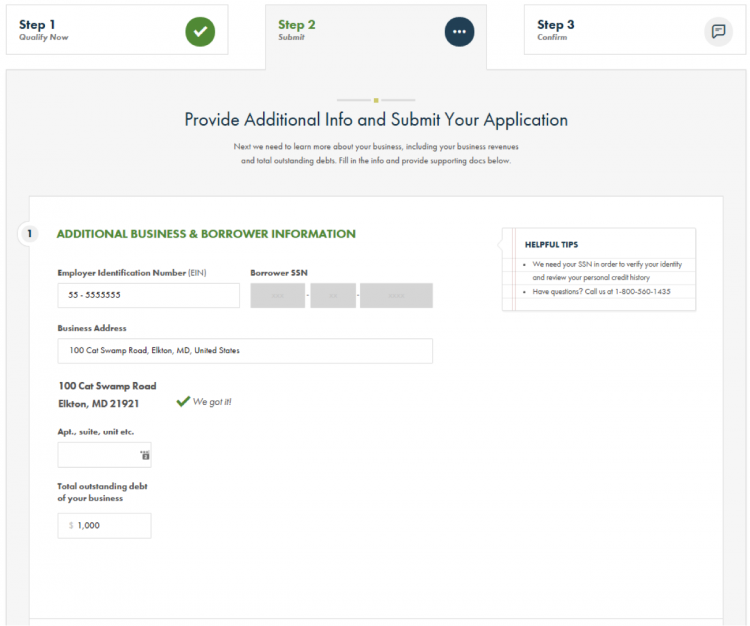 Editor’s note: NerdWallet’s Step by Step series gives small-business owners a behind-the-scenes look at the loan application processes of various online lenders. We show you what you can expect screen by screen as you submit your application. Founded in 2013, StreetShares is relatively new to the alternative lending space. 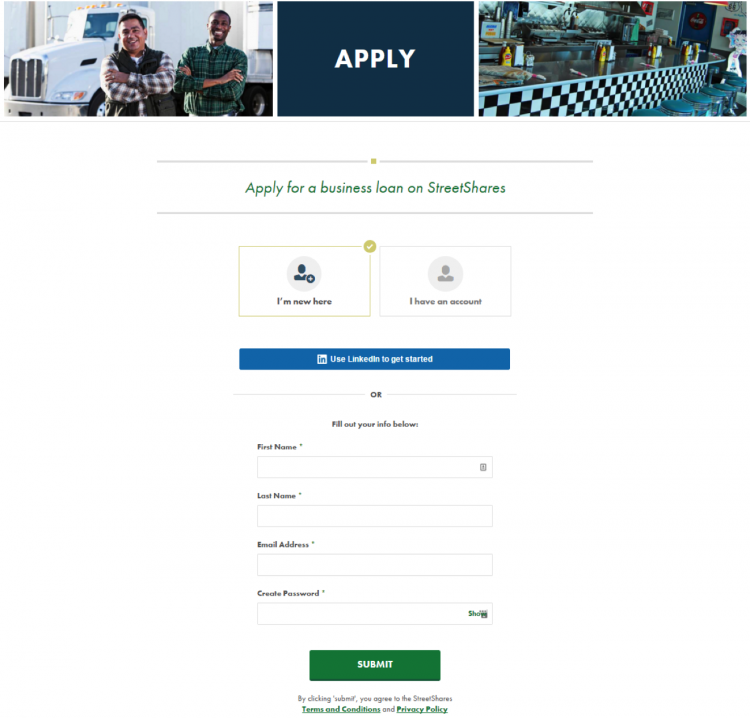 The company uses community-based lending to connect small-business owners with investors who share characteristics such as military service. This way, StreetShares aims to drive down risk, which helps keep interest rates between 9% and 40%. StreetShares offers term loans between $2,000 and $100,000, though you’ll only qualify to borrow up to 20% of your company’s annual revenue. Check out our review for more information. Below, we’ll break down StreetShares’ application process step by step. It’s also mobile-friendly, so you can complete it on the go from your phone or tablet. Documents needed: Six months of bank statements, your most recent business and personal tax returns, a DD Form 2014 (if you’re a veteran). You might also be required to send copies of your balance sheet and profit and loss statements. 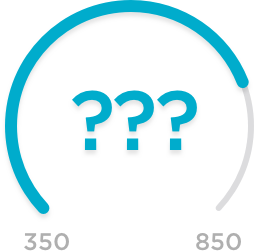 To qualify for a StreetShares loan or line of credit, you need a personal credit score starting at 600, one year of business history and a minimum of $25,000 in annual revenue. You also can’t have a bankruptcy in the past three years. First, you’ll provide basic information and create an account. You can use your LinkedIn profile to populate some of the fields. 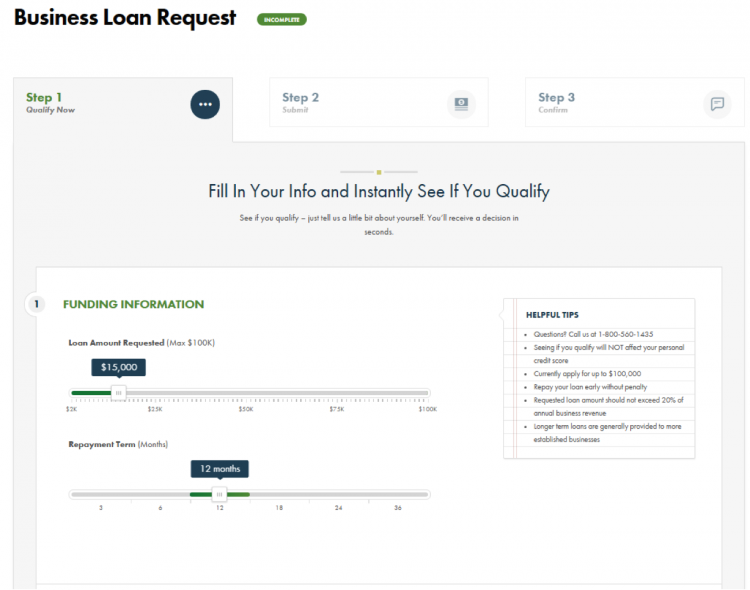 Next, you’ll enter information about the amount of funding you’d like and your requested repayment terms. You’ll also be asked for the last four digits of your Social Security number. StreetShares will use that information to perform a soft credit inquiry, after which you’ll find out if you prequalify for a loan. You’ll also add information about your business financials. You can either log directly into your bank account to access your last six months’ worth of business bank statements, or manually upload the documents. 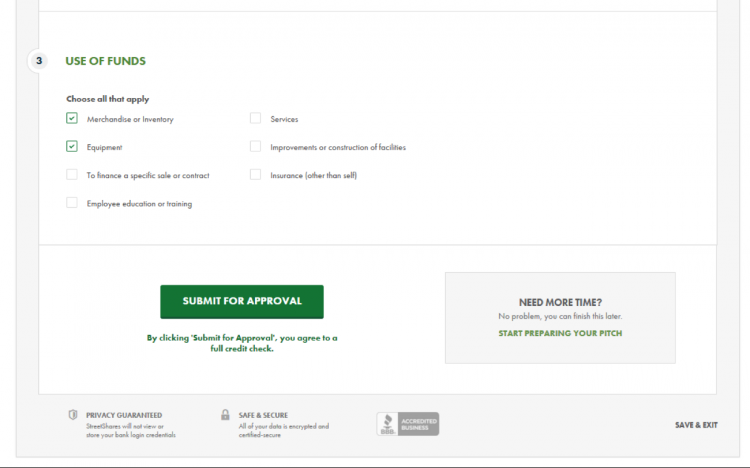 Then you’ll upload your most recent business and personal tax returns. Last, you’ll tell the company how you plan to use the funds you receive through StreetShares. Options include buying inventory or equipment or making facility improvements. 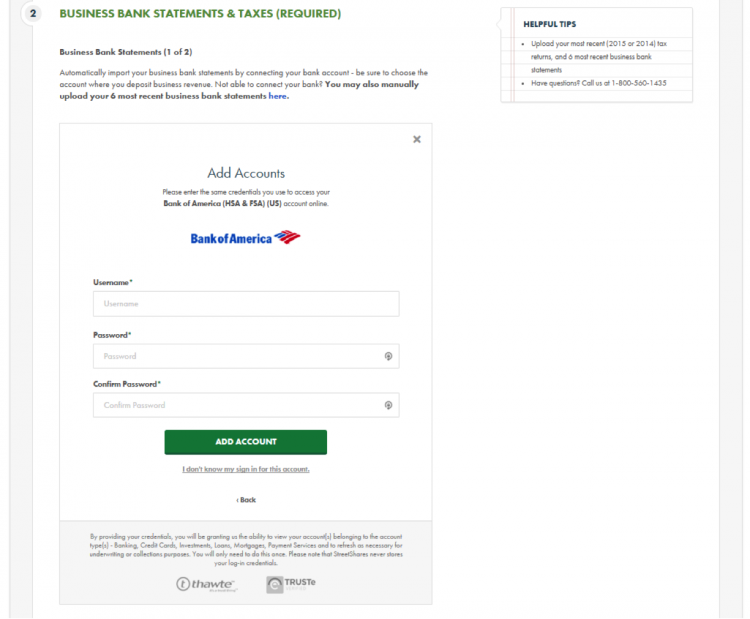 Hitting “submit” sends your documents to StreetShares’ underwriting team. At this time, they’ll perform a hard credit check. Between 30 minutes and a few hours after you submit your documents, a customer service representative will call to check in with you about the process and let you know if any documents are missing. If there are substantial questions about your credit history, an underwriter might join the conversation, giving you a chance to clarify. After submitting your application, you’ll know whether or not you’ve been approved in 24 to 48 hours. If you decide to accept your loan offer, an automatic transfer will be initiated and you’ll have the funds in your account by the next business day. 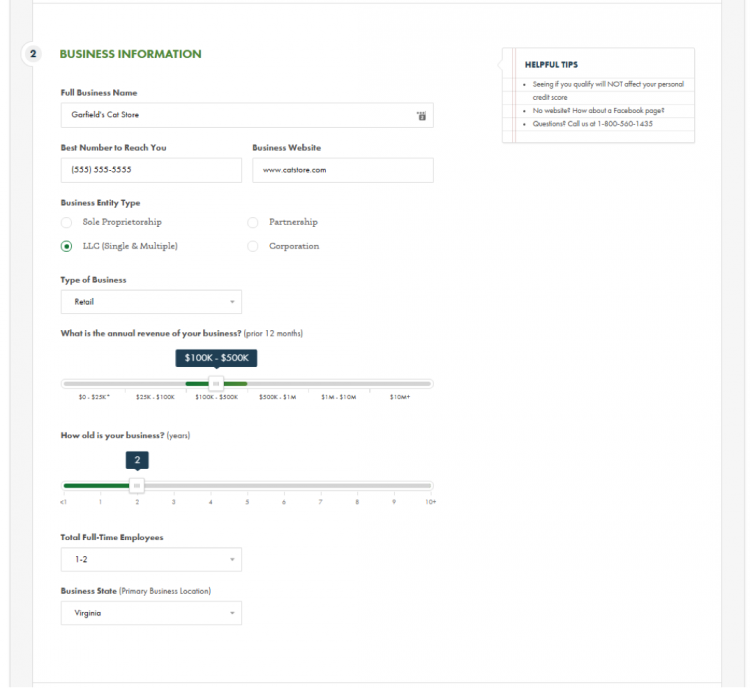 To compare StreetShares with other lenders, NerdWallet has created a comparison tool of the best small-business loans to meet your needs and goals. 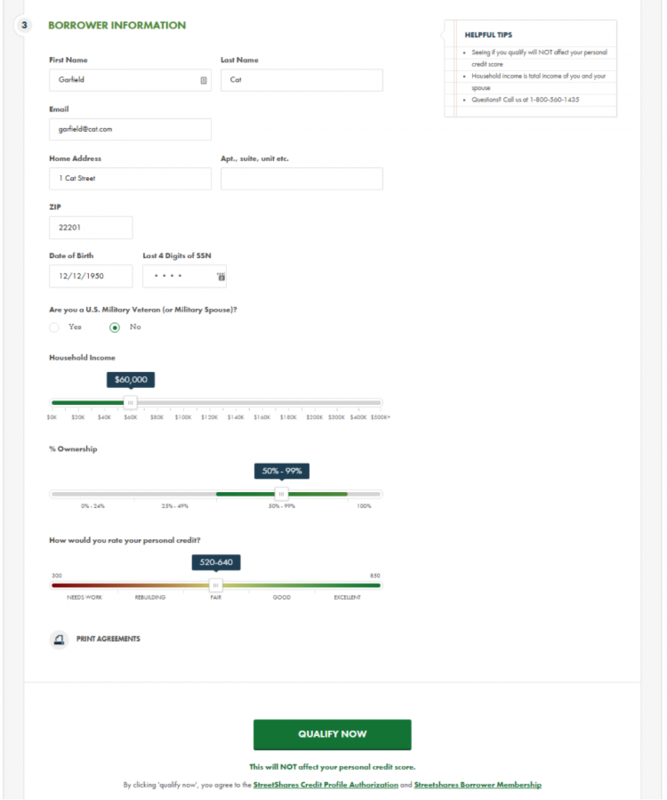 We gauged lender trustworthiness, market scope and user experience, among other factors, and arranged them by categories that include your revenue and how long you’ve been in business.